Elizabeth Rachel Carroll, age 34, of Nashville, passed away August 29, 2018. She was preceded in death by her maternal grandparents, Rachel M. and Thomas M. Harrison, Sr., and her paternal grandparents, Wanda S. and Charles W. Carroll. She is survived by her parents, Debora H. and J. Patrick Carroll; her brothers, Patrick Ian Carroll and Taylor H. Carroll; and she is also survived by many other aunts, uncles and cousins. 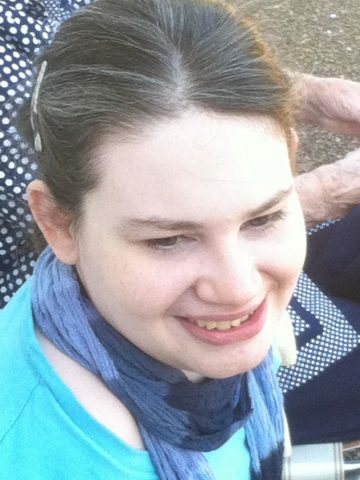 Although Elizabeth had Rett Syndrome, she lived a long life and was extremely loved by her family and caregivers. Elizabeth taught us that time together is our greatest gift. We know God welcomed her with opened arms and she is whole again. God sent a special angel into our lives. Giving that angel back is the hardest thing we’ve ever done. Sending angels for love and comfort.